At iOSDevSchool we don’t just provide video lessons, we are also here to help and support you with your projects. If you need a consulting for your business, we are happy to help you to move your business to digital world and to mobile devices. Expand your business to increase your income. At iOSDevSchool we provide different video tutorials on how to lear iOS development and start new carrier today. We will teach you the skills you need to change your life, star earning money with your new skills. Develop iOS applications and upload them to App Store. All you need is to subscribe to any of our courses and start learning today. 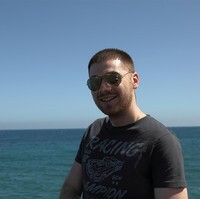 iOS Dev School was established in 2014 by David Kababyan. A young and energetic Multimedia Developer. After graduating from University in 2012, David understood that the future of the learning is online courses and not Universities and Colleges. More and more people every year move from standard way of learning to online courses and the biggest advantage to Online courses is that you can watch them on your own free time and get the same knowledge with just a fraction of the price. You will not have University or College degree, but in most cases employees don’t even look at your Degree when they hire you for work. What the look at is your portfolio and your knowledge, and Online courses will provide you with both! Since 2012 we have steadily grown with tens of thousands active online students from around the world. Our courses were selected by Udemy as Top Rated and Best Selling courses. We are proud to say that our students are satisfied with our work and the proof of that is their reviews of our courses. 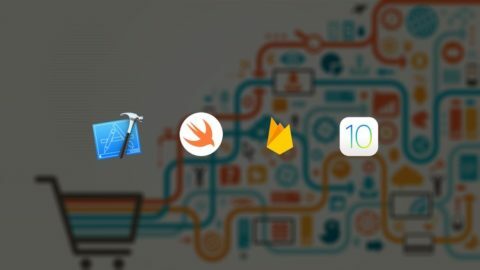 How is the iOS Dev School different from other online courses? Our biggest priority is to provide high quality learning material and we put student satisfaction in 1st place. 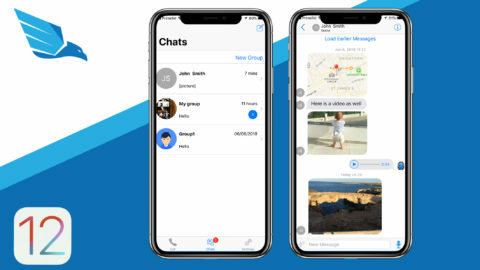 What we want is that after our course the students learn something new for them and use the knowledge in their everyday life to help them to become better iOS Developers. You can make money from home without even need to go to work, this is the dream of every person. Our courses are targeting all the levels of developers, no matter what your background is, if you want to learn to become iOS developer, we can help you to achieve your goal. We have different courses for different levels starting from absolute beginners and going up to more advanced courses. We provide life time access to all our courses and support to does who need more help apart from watching video lessons. iOS Dev School also provides 30 day money back with no questions asked! Our system is automated and will issue the refund within few working days if you are not satisfied for any reason. Student Satisfaction is our Top Priority! What our students have to say. Было трудно понимать вначале, но в итоге получился неплохой продукт. Узнал много нового. Estou assistindo a primeira aula, até agora o curso parece ser muito bom. 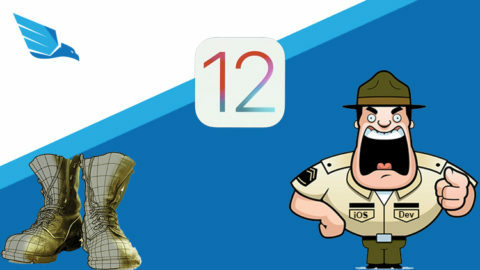 One of the best comprehensive iOS course! I’ve now been following both of the QuickChat-courses, and I can honestly say that it’s one of the best programming courses I ever took. The tutorial is well-explained, and the content is of high quality. Also, David always replies to private messages with help. Great work, I appreciate it! Production level code provided and all creation process showed step by step very thoroughly. As for me – one of the best courses I ever met. This course differs from usual courses, because there’s almost ready full scale application provided, with plenty of features. I think the real price for such a source code is about thousands of dollars. And besides of code there’s step by step creation video. Thanks David! Thanks David! 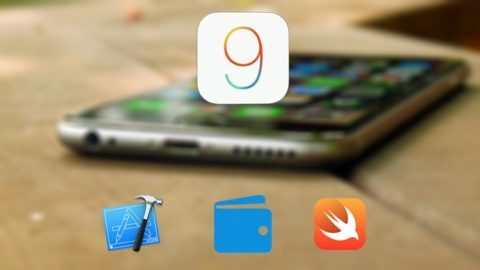 This is a great class and perhaps one of the best for iOS development. Instructor is a very good teacher – a lot hinges on the quality of the teacher I gathered after comparing this iOS class to others – and learning and enjoying this class a lot. Every single word I say is from the bottom of my heart. First of all, the course is the most comprehensive instant chat on the entire Internet. For me, this course is priceless because nobody is as kind as David who is willing to share his knowledge and experience to his students. Second, David(the instructor) is so supportive and knowledgeable. I am new to Swift and ios. I have got two times errors so far. Every time I asked David to help, he always replied my message in 12 hours even sooner. He helped me to keep going and learning. I have taken 7 courses before this one, he is definitely most supportive instructor I have never ever met!!!!!! I will follow his course. I am so glad to become his student. I enjoy his course. All in all, Thank David for providing us this such wonderful course and knowledge. Okay, so this is honestly the best course the I have found on Udemy. Everything is so in depth and David is so clear on everything. I will say, you do need to know your way around Xcode, and definitely some background in Swift. Basic debugging will be a huge help if you run into any kind of problem. I will always recommend this course to anyone who tells me they are learning to make something real and amazing. I have learned tons of new things. I even learned some neat tricks that I thought weren’t possible on iOS. So this is just amazing. The instructor (David) has done an excellent work 1. He has explained each and every line of code in great detail. For eg. While explaining saving video file to local storage he explained the arguments of “write()” function, such as “atomically” & why it needs to be “true” (“true” creates temp file before saving to local storage. And before saving to local storage it checks if there already exists a file with the same name. If there is a file with the same name then atomically doesn’t overwrite) 2. He explained closures (or callbacks) in great detail (eg.if you are accessing property from within the closure then it should be accessed using “self” keyword) 3. Downloading video in background queue & once its finished, then return the downloaded video file to main queue. 4. Capturing thumbnail image from video is one of the toughest topic, but he explained every step in a very simple manner. 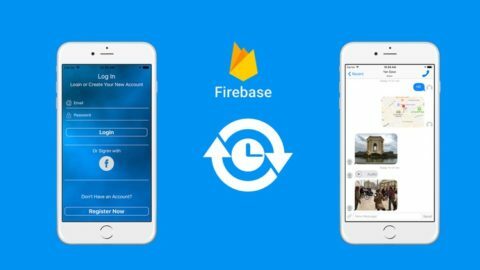 5.When we observe events in firebase & once we come out of view controller, then all observers for that view should be removed. 6. David, provides incredible & outstanding support. He is very active in the course Q&A section & answers questions with clarity & encouragement. 7. I give this course my unqualified recommendation. QuickChat 2.0 is very useful to me. I spent a month to watch the course video and typed every line of the source code. 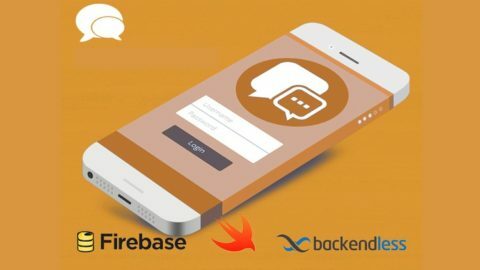 I learned a lot from this course, especially how to use Firebase as a backend for a chat app. This course enhance my skills of the swift programming language.